How many times have you drooled at a place that was shown in its ultimate glory on the silver screen? Your favorite on-screen couple is running around those lush green landscapes or crystal clear lakes or pristine beaches and all that wonders you is where on earth could be this sort of a place? Being from the country that produces the highest number of movies in the world every year, we Indians are bound to have gone through many such instances. Until near past, directors and producers of the Indian cinema ventured into foreign locations to shoot the prime song of their movies. When the cash rich Bollywood sought for the Americas & the Alps, the smaller budget movies of South India went to the beaches of Singapore and Malaysia. But not after few smart and efficient directors finally discovered the jewels that hid in our own country. The lakes & mountains of Ladakh were no lesser than those of Europe, the flower valley of Himachal & Khaas gave a tough competition to the Tulip beds, beaches of Goa and Andaman were now more often visited. Few more efficient directors went further and ventured into the unexplored territory. It is they who make the viewers go gaga over that mesmerizing landscape of the incredible India. I get restless when I see one such awe inspiring sight and not know where it is. Repeated searches on Google and other gadgets give out some information but not in full. My one such noted experience was when I watched that astounding church on the banks of Alleppey Backwaters in the Tamil flick Vinnaithaandi Varuvaaya. A Portuguese style construction that stood high on the banks of a serene backwater, with its huge white walls reflecting on the ripples and an arch shaped bridge on the side making it picture perfect. A picture from Terminal Diary who was on a similar quest! When I was in Alleppey for the Nehru Trophy boat race last August, all that was running through my head was this charming structure of worship beaming with its reflection in the shining waters. I somehow made sure that I have few hours to squeeze in a quick visit to this place before the boat race began. But where is this place? I went around asking people for the church that had featured in the movie. At first I thought I could ask anyone and it would be found, later I realized that I should target some youngsters so that they are much aware of the movie or maybe I should ask some religious looking people so that if not to the movie then they can relate to the church as there wouldn’t be many of them that are so perfectly positioned. I got all sorts of information. Many said it is the Kalloorkkad church and many others said it is at a far away town and few others said such a place did not exist in Alleppey at all. But I was not ready to give up. It had to be in Alleppey. Few more hours of data collection and I finalized; it has to be the Kalloorkkad church. But I have to catch a bus at 5AM to make a quick round before I can come back and settle down for the boat race. I took it up. 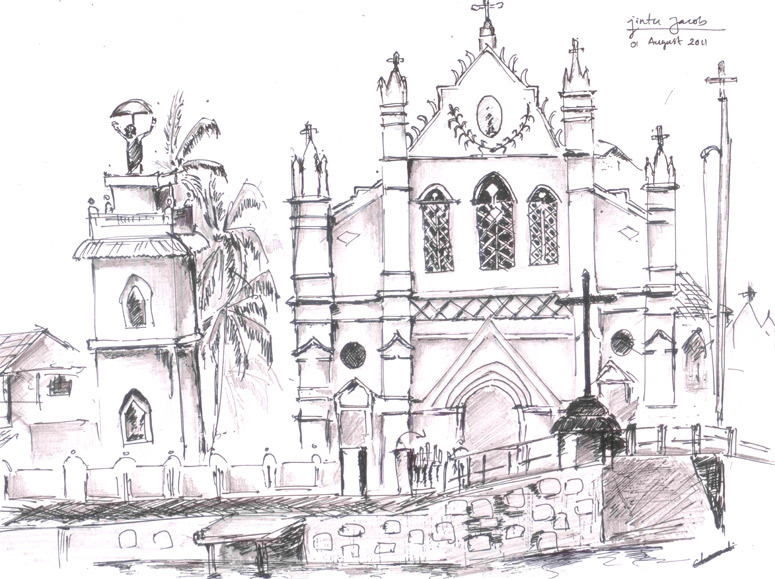 Next morning, at 5, I was in a Kerala state transport bus buzzing towards the Kalloorkkad church. After about an hour’s journey, I got down in front of the church and to my dismay, this was not at all the place that I was looking for. Enquiring to another lad over there got me the details. 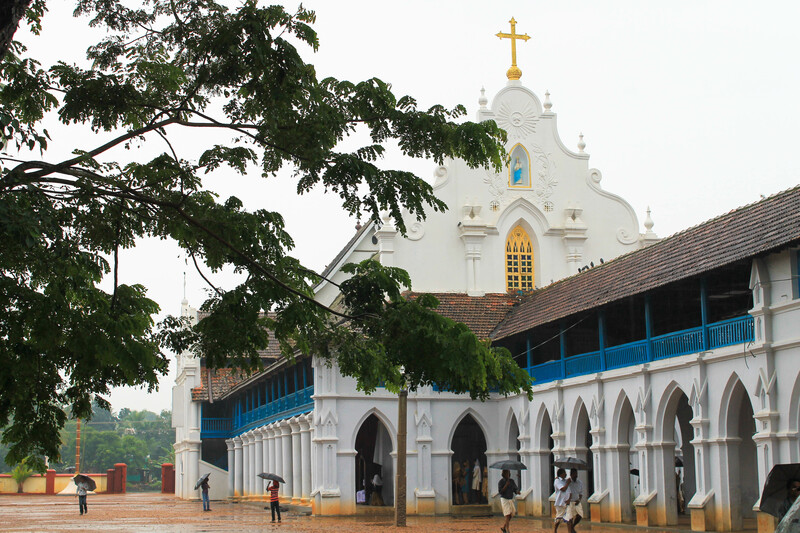 The church that had featured in Vinnaithaandi Varuvaaya was the St. Mary’s church, Pulinkunn and the church here was Kalloorkkad St. Mary’s church, Champakulam and my compensation? A thousand year old, living monument that had featured in another Tamil flick, My Autograph! The second instance happened when I watched a Malayalam movie called Ordinary. The solace this time was that I did not have to search where this place was. The movie is about a bus that plies between the mystic village of Gavi, nestled in the Western Ghats, and the town of Pathanamthitta in Kerala. The mist covered landscapes and charming village was enough to get me drooling again. I was at Kumily hoping to reach Gavi. Little did I know that entry was restricted and visitors were allowed to Gavi only on the tour packages of Kerala Forest Department which cost a big money for a shoe string traveler like me. I decided to take the vehicle that had charmed me to see Gavi. Next morning, at 5 again, (why all these buses wake up so early?) I was in another Kerala State Transport bus that was struggling to pull itself up into the village of Gavi. Finally when I reached this quaint village deep within the forest, I was in for disappointment again. The localite jeep driver tells me that most parts of the movie were shot in Wagamon (another town in the Western Ghats) and only few scenes were shot at Gavi. And worse, out of those few places, all of them except the dam are accessible only if you have taken the package tour of forest department. Not to mention that I returned with another disappointed face and my compensation? A small dam that was constructed across a forest river and the colorful boats of forest department anchored on the shores with thick mist clouds hovering over the water and dense green forest in the background. Such instances will keep happening. The cinema will keep charming us with those magnificent views and we fall prey to its beauty. I am not at all disappointed with my failed ventures but rather I am happy that I at least explored a new place going in search of something else. If you have known the Kannada movie Mungaaru Male, you would know the world famous Jog Falls being shown as in the hill station of Madikeri, also in another flick by the same director, the rolling meadows of Mandalpatti in Madikeri are shown as Mugilupet in Theerthahalli. But what makes me feel happy is that the cinema industry is finally exploring into us than going for the greens of far away mountains. Not that I have anything against the far away mountains, but I believe even our backyard needs appreciation than being taken for-granted. I hope the cinema industry continues their good work. With a note of appreciation for the never before seen view of Jog in the Tamil movie, Kumki! 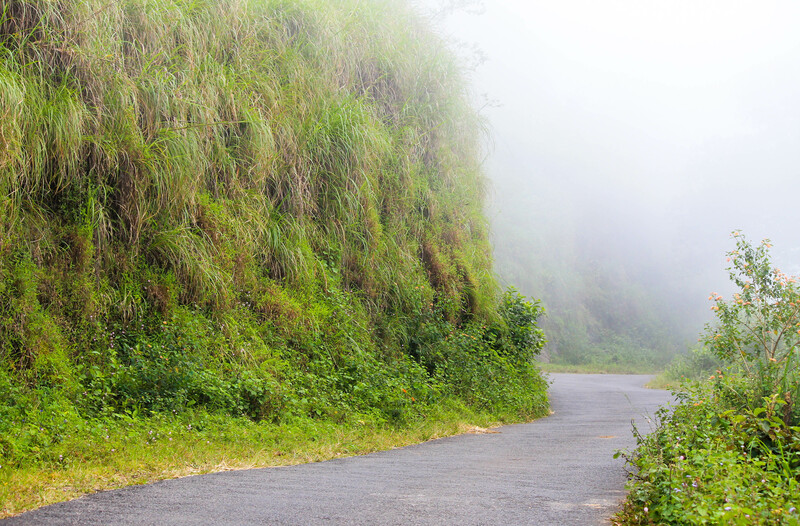 Drivelogue Kerala: Gavi – Changing perceptions! Thanks, perhaps you would have ventured again for the church at pulinkunnu i.e, St. Mary’s Forane Church – Pulincunnoo. Shortly i am about to visit this church since i am eager to have a original glimpse of the beautiful locations depicted in those two movies – YMC and VIN VAruvaya. Thanks again for sharing this tale of pathfinding adventure.